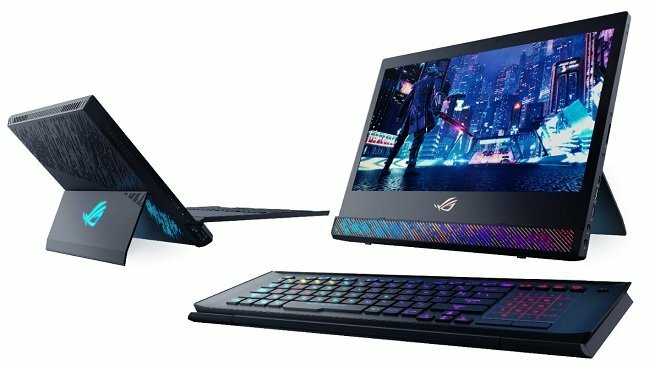 Asus just revealed a new portable gaming PC at CES 2019, and while we’ve seen plenty of gaming laptops and “portable PCs,” the ROG Mothership is perhaps the most unique design we’ve seen in years. It’s also the most impressive piece of tech we’ve seen in a package this small. Seriously, this thing packs a serious punch. Keeping this thing cool will definitely be a priority, because packed behind that bright, vibrant screen are an Intel i9-8950HK overclocked to 4.84GHz, and an RTX 2080 GPU with 8GB of GDDR6 video RAM. This guy boasts up to 64GB of RAM as well. Needless to say, you’re going to be playing your games on Ultra settings, at 144 FPS, and you’ll be more than capable of experimenting with ray-tracing. It’s an impressive piece of tech, and we can’t wait to see more. The ROG Mothership is scheduled to land in Q2 2019, and while we don’t have a price-point yet, we recommend you start saving now.